CO2 Bottle and gauge are required for a sparkling water or beer dispenser. 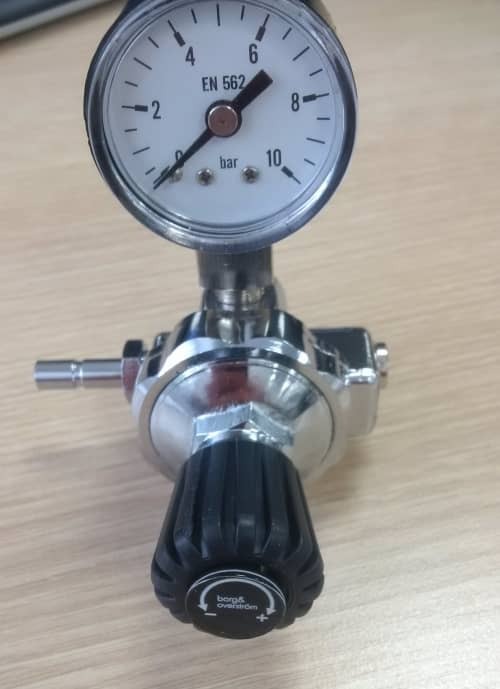 This sparkling gauge for water coolers using 600g or 1200g of CO2. . The CO2 regulator with gauge has an M11 thread: this regulator is required with a Sparkling Water Cooler. Below are details of commercial CO2 food grade cylinders with greater gas capacity, an adapter can be supplied with the gas regulator to fit to these bottles.